From May until October, you’ll find Bose and Sons freshly-picked non-GMO vegetables at Metro Vancouver’s local farmers markets. Our vegetables are harvested sustainably, without the use of insecticide, in quality soil for some of the freshest, gluten-free produce found locally. Since 1891, the Bose family have been farming sustainably in Surrey, British Columbia. Fifth generation farmers, the Bose’s operate a full-functioning commercial vegetable farm on 110 acres in Cloverdale. Proud to be farmers and leaders in the community, the Bose family created a corn maze and pumpkin patch in 1999 to provide a hands-on, agricultural experience for the general public to learn more about where their food comes from – at affordable prices. 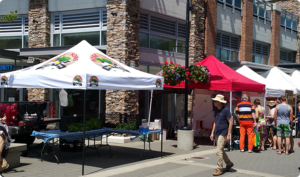 From May until October, you’ll also find their freshly-picked, quality GMO-free vegetables for sale at the Langley, New Westminster, Burnaby and White Rock local farmers markets.